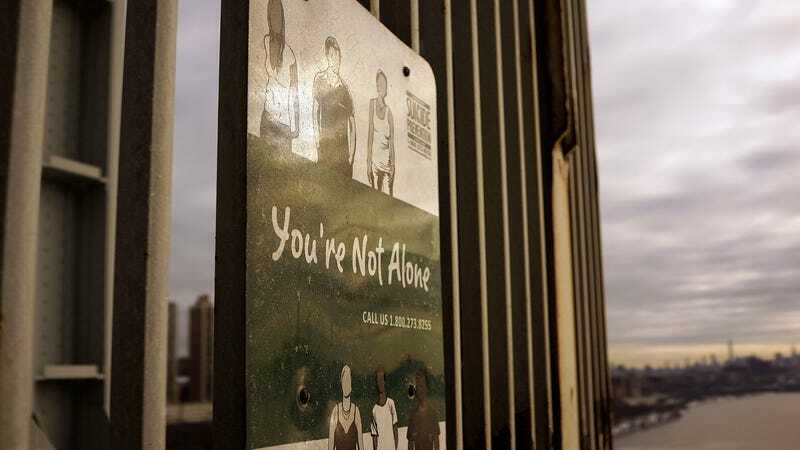 The annual rate of death by suicide has steadily risen in the US since the turn of the millennium, according to a new report released this week by the Centers for Disease Control and Prevention. In many cases, those who died had not been diagnosed with any mental health condition—though the data does not specify whether those people had no diagnosis because they did not seek or have access to mental health care, or because they had received care but no formal diagnosis. From 1999 to 2016, the report found, the annual rate of suicide rose by nearly 30 percent among Americans over the age of 10. In 2016 (the latest year for which we have national data), nearly 45,000 Americans died by suicide, more than double the number of Americans known to have been murdered that same year. While suicide has remained the tenth leading cause of death for some time, it is one of the three leading causes whose rate has increased in recent years. On a state level, rates of suicide rose across 44 states and Washington DC, with 25 states seeing an increase of more than 30 percent. The only state that didn’t report steadily higher rates over that time was Nevada, but rates there were already consistently high. Montana had the highest rate from 2014 to 2016 (29.2 deaths per 100,000 Americans), while Washington DC had the lowest (6.9 deaths per 100,000). The rate of emergency room visits due to nonfatal self-harm similarly increased by 42 percent from 2001 to 2016. Suicide is a complex phenomenon with no single cause. But we know that pre-existing mental health problems can contribute to suicidal ideation. And we know that interacting with mental health professionals can often help people struggling with suicidal thoughts. From that perspective, the CDC’s report is sobering in another way: It found that 54 percent of people who died by suicide in 2015 had no known mental health diagnosis, according to data from 27 states. When it came to certain risk factors for suicide and suicidal ideation, the CDC report found some differences between people who did not have a mental health diagnosis. Those without a diagnosis were more likely to have reported relationship problems (45.1 percent versus 39.6 percent of those with a diagnosis), to have significant life stressors (50.5 percent versus 47.2 percent), and to have recently had a emotional crisis (32.9 percent versus 26.0 percent). They were also more likely to have committed homicide just prior to their death, and to have been enrolled in the military. More men died of suicide, though overall rates across the 17-year period increased in 43 states for women, compared to 34 states for men. The largest absolute increase was seen among people aged 45 to 64, though increases were seen across every age and racial/ethnic group, as well as in every urbanization level, from cities to rural areas. Firearms remained the most common cause of death overall, though rates of suicide by firearms were nearly double in rural areas compared to urban counties. Despite these findings, there are effective ways to prevent suicide and help those at risk, the authors of the CDC report noted. These include everything from providing struggling people with stable homes and financial support to “promoting social connectedness to increase a sense of belonging and access to informational, tangible, emotional, and social support,” they wrote. If you or someone you know is having a crisis, please call the National Suicide Prevention Lifeline at 800-273-8255 or text the Crisis Text Line at 741-741.